A recent lawsuit filed against Scot Peterson, the former BSO officer who acted as the Parkland School resource officer has been targeted in a lawsuit alleging that he was negligent the day that Nikolas Cruz shot fellow classmates and teachers. However, the Supreme Court has routinely ruled in favor of police officers served with negligence lawsuits that they have no implied duty to intervene or protect the public. This head-scratching decision causes many to wonder what utility they serve the public interest. The courts have ruled that individual officers have broad discretion in how they go about enforcing the law. Now the question remains, since Peterson was not an active-duty police officer but an employee of the school, what—if any—duty did he have to protect the children at the school. Peterson’s civil defense attorney, Michael Piper, argued that Peterson did not have a ‘duty of care’ to intervene in an active shooting. Indeed, private individuals have never had this duty of care and the Supreme Court has established that even police officers don’t have this duty of care. Peterson, however, was hired for the purpose of providing security to the school and was, in fact, the only individual on campus who was authorized to carry a gun. Regardless, Piper maintains that he has no legal obligation to intervene and endanger his own life to save others. There are two major considerations here. First, it is clear that most feel that Peterson acted in a cowardly fashion. This cowardice may or may not have cost more students their lives. But by attempting to take out the shooter with his handgun, an argument can be made that, had he been successful, some lives could have been saved. Those who lost children that day are rightfully outraged by Peterson’s conduct. On the other hand, as part of any negligence lawsuit, the plaintiff must establish that the defendant had a duty of care. The question remains as to whether or not Peterson incurred a duty of care because he was acting on behalf of the school district as a security officer. The Parkland School district can (and will) be held liable for providing negligent security to the children at the school. But it still remains questionable as to whether or not Peterson had a personal (and legal) duty of care to the children at the school. The law appears, on the surface, to say that he does not. The plaintiffs maintain that it is ‘inconceivable’ that Peterson had ‘no duty’ to protect those entrusted to his care. Indeed, it may seem that way to laypeople, but the Supreme Court has routinely found in favor of officers of the law when it comes to intervening on behalf of private citizens. Since Peterson was acting in his role as an officer of the law, it is legally inconceivable that he can be held liable for negligence. Regardless, the judge, in this case, is allowing it to move forward. Attorneys for the defendant can appeal any verdict and, unless there is a change to the law, they should win on appeal. If you have been injured by another’s negligence, you can recover damages for your injuries. 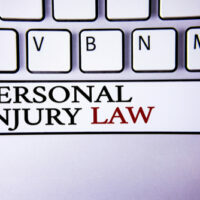 Give the personal injury attorneys at the office of Alan Goldfarb P.A. a call or talk to us online to set up a free consultation in Miami.